Tunic appeared in Ancient Rome, it was worn by both women and men. Today it is a popular subject of female clothes are particularly fashionable beachwear tunics, crochet. The cut of tunic is rather simple. Is a rectangle split at the neckline. To make the pattern, measure around your hips, divide the measure by 2 and add to it 5-10 cm depending on how loose you want to tie the thing. Draw a rectangle with a length equal to the desired length of the tunic, and wide, according to your calculations. In the upper left corner draw a line neck. Knitting pick up 300 g of cotton or blended yarn of medium thickness (about 95-100 m reel of 50 g). Also you will need scissors, hook №3,5, sewing machine, thread to match the yarn. One of the easiest knits crochet mesh pattern. Despite its simplicity and plainness, tunic, knitted, therefore, looks very impressive, especially if you pick bright yarn fashionable shades. 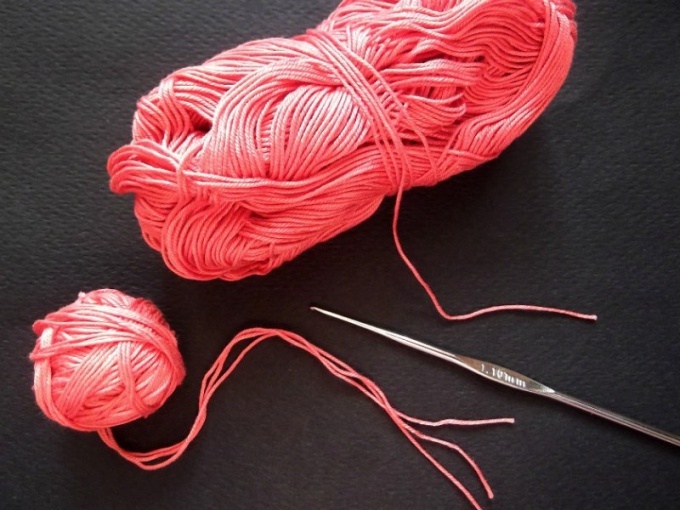 Calculate the required number of stitches for knitting. Dial a chain of 15 stitches (this number will of 3 repeat and 3 air loop lifting). In the first row provarite all loops by columns with nakida. In the second column with three SC in every fourth loop of the previous row and 3 air loop lifting. In the third provarite the first column with three SC in the second loop, and knit the rest of each 4 loops of the previous row. Continue knitting from the 2nd to the 4th rows. As a result, the density knitting should be 20 loops and 5 rows in sample, 10 × 10 cm If the amount more, take the hook smaller if less, then Vice versa. Tie a chain of 117 loops (for size 46-48) and attach it to the pattern, slightly stretched. Adjust the number of loops in a stacked row, but note that for the mesh pattern, the number must be a multiple of 4 plus 3 air loop lifting. Next, flip the knitting and knit directly without obivok and rises to the neckline. Periodically apply a knitted fabric to pattern. Then detail knit separately, vymazyvaja the neckline. Similarly follow the detail of the front. Fold the front and back of the tunics, crochet, right sides inside and sew the side and shoulder seams on the sewing machine. Armholes and neckline tie lobster step". Tunic wet. Attach to the pattern and flatten the cloth. Allow the product to dry in a horizontal position on a flat and level surface.